Byron will complete a one and a half year tour in Ghana end of April, 2017. For the last seven years, Byron has played the leading role in support of recovery in Ghana by establishing several Oxford Houses, expanding the number of AA/NA home group meetings in Greater Accra, and providing consultation and support to the House of St. Francis, a social model treatment center in Ashaiman. He has established a Chapter of Oxford Houses with a strong housing services group to oversee the quality control and expansion of Oxford Houses in Ghana. He has also been active in training of trainers in Counseling Addiction Professionals; mobilizing a core group of professionals to establish an Employee Assistance Program provider network in Ghana and assisting the Recovery Ghana Consortium with the organizing of the annual event “Ghana Recovery Walk” held during the month of September. The next one is schedule to be in Ashaiman in September 2017. “I believe that, we the people of the Hopeful Way Foundation/Recovery Africa are doing great things to provide recovery support and develop this Recovery Movement in Ghana.” Continued support of the following current and future initiatives are needed by Recovery Africa: assist with the training of peer recovery coaches and collaborate with NACOB to provide training of International Counseling Addiction Professionals; continue to develop the international social worker internship/student exchange program; continue to support Recovery Ghana Consortium towards advocacy and relieving stigma; strengthening and stabilizing Al-Anon/family anonymous support groups; development of a revolving loan fund for expansion of Oxford Houses and developing a Technical Support Agency; continued support for development of Recovery Community Centers; and developing sustainable relationships with the business community, faith based community and Ghana Police Services are still needed to mobilize and empower Ghanaians in this Recovery Movement. 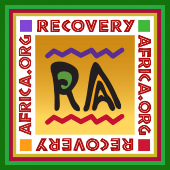 Recovery Africa still has plenty of work to do to empower Ghanaians to sustain the evidence based structures currently in place in Ghana.